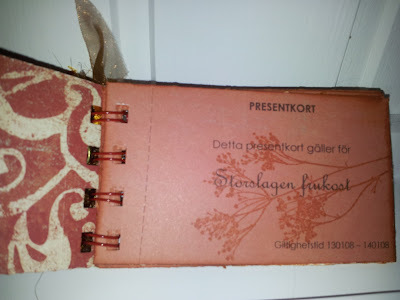 [scrap och annat skräp] [scrap and other crap]: Coupons for Bosse! My friend S mailed me at work today asking where to buy patterned paper. It's her boyfriends birthday tomorrow and since she doesn't know what to give him she thought of giving him homemade coupons for a three course dinner, a movie night, etcetera. Cute! It's not easy to find that kind of papers in our town so I offered to cut down some scrapboooking papers for her until tomorrow. 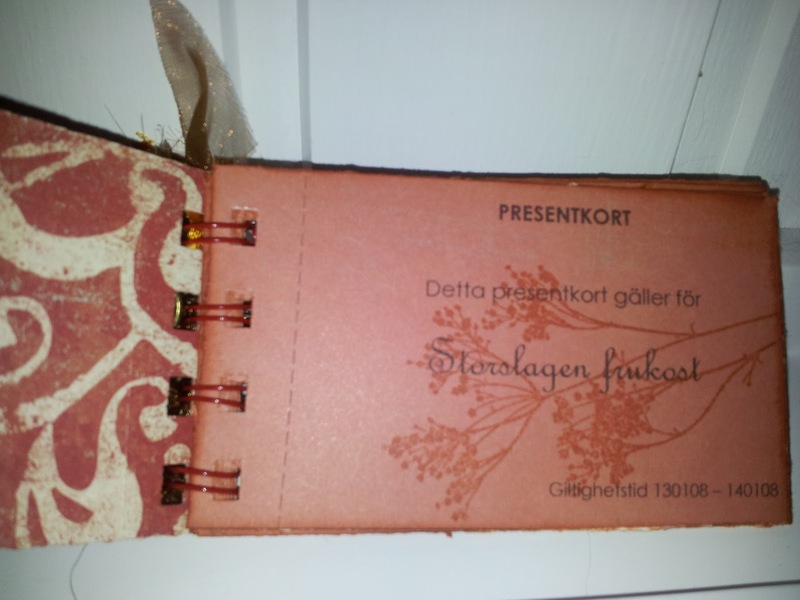 And all of a sudden, since I feel very creative at the moment, I offered to make the whole coupon booklet!! I did get a Bind-It-All this Christmas so I knew it would be a very nice booklet. How could I refuse her that?! Here's the outcome! And here's the inside with the perforation and the back of the paper. Jag har World-filen kvar om någon vill ha den. Nyårsscrapp 26 dec - 13 jan!